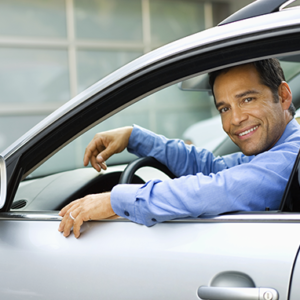 MMG will keep you rolling with a wide array of Business Automobile Insurance coverages to meet your individual needs. You, more than anyone, know that running a company is complicated business; there’s so much to think about, so much to worry about. Who needs the added pressures of wondering whether you’ve protected your business from losses resulting from costly damage to your vehicles should you or an employee be in an accident – or whether your business has been adequately protected from exposure to liability? When it comes to safeguarding your business, it’s so important to be sure you have the right coverage for all of your vehicles. Protect your piece of the world with a Business Automobile Insurance Policy from MMG Insurance. This comprehensive policy can cover all kinds of commercially owned vehicles, including private passenger cars, trucks, farm trucks and utility trailers. Whether you own, rent or lease vehicles, our policy provides liability coverage should someone claim that you caused bodily injury or property damage. You can also purchase comprehensive and collision coverage to cover losses resulting from damage to your vehicle. How you can tailor the policy to meet your specific business needs with a wide range of special endorsements that add coverages not included in the original policy.